Having just seen the amazing picture of the Tyne Bridge with the Olympic rings, I was wondering what my fellow se1-ers think of our "efforts" so far on Tower Bridge. How about we organise a lie in on the bridge so we can fully appreciate Boris's efforts? The rings won't be 'launched' till 27 June - they will be retracted until then. During the Olympics and Paralympics there well be a nightly light show when the rings will be retracted and then launched again. 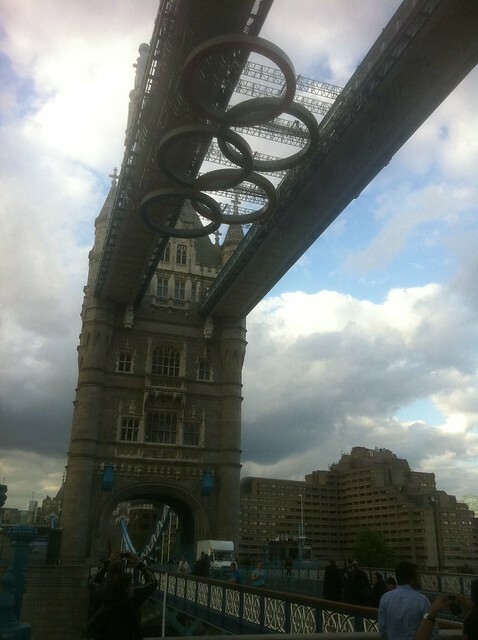 The Olympic Rings are in position on the bridge (albeit retracted at the moment). I am sure they will look fantastic!